When most people want to watch videos or listen to audio on Windows they use Windows Media Player. While Windows Media Player is ok there are several better software packages that you can use to watch videos. 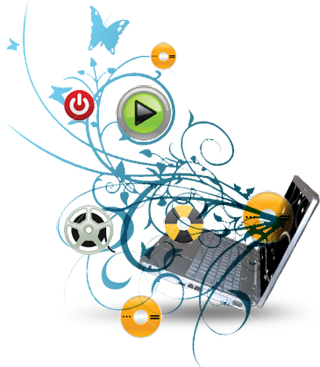 You may also need to download codecs which allow you to play different audio and video formats. I will list several that I use and explain the benefits of the software and why you should use it to play media. Even though there are many steaming services that you can use to watch videos you also will want to download videos either from the internet or from a camera. No matter what you use to watch your videos there are 2 video codecs that you should have which will allow you to play most video formats. The two codecs are rivals and offer the same video compressions. The first is DIVX which is a very widely used codec for videos, and games. DIVX is a commercial product but has a free software package that lets you use the codec and includes a video player which is just as good as Windows Media Player. If you don’t like using a commercial product you can choose XVID (DIVX backwards) they are a completely open source codec which does the same compression as DIVX. A quick note here: some websites and games will only work with DIVX so you may need to install that as well. Both codecs work well and improve the quality of the video. My next software recommendation is an all in one video player. VLC (Video LAN Client) is a complete video player that supports almost all video formats. VLC is a free application and can be downloaded on almost any device. VLC is a free and open source cross-platform multimedia player and framework that plays most multimedia files as well as DVD, Audio CD, VCD, and various streaming protocols. 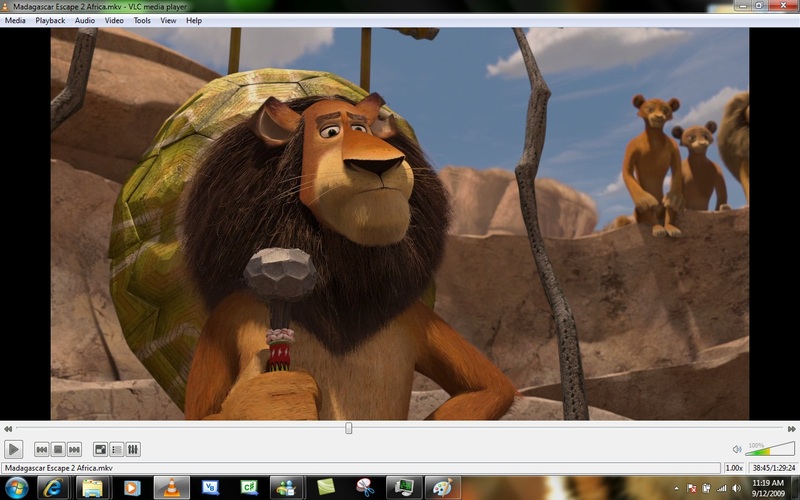 VLC has many different tools and settings which allows you to customize you viewing experience. VLC can also be used to recover video segments from a corrupted video file. This is a must download for anyone who has movies to play in different formats. I will explain VLC settings in future articles. If you are having problems with audio not playing in your videos you need to install AC3filter and then your videos will have audio. The audio player you use will depend on the audio format that your songs are in. If you have purchased all your songs through iTunes or Zune it is best to leave them in there and listen to them through those players. If you are like me and have your music all over the place from CD or online then it is necessary to have an audio player that you can organize and listen to music with. Winamp is my first suggestion for a music player. Winamp is widely known and has been around from a long time. Because it has been around for a long time Winamp has the ability to play over 60 different music formats. Another nice feature of Winamp is the ability to import your songs from iTunes. Winamp has a great UI and is very easy to use. It will also look for songs on your hard drive so you don’t have to add them to Winamp they will automatically be added. Winamp has both a free and Pro version of the software, you can do most of the Winamp features on the free version but it limits the amount of CD burning you can do. The PRO version has several additional features and is $20. Winamp also lets you sync your music to portable devices, tag your music, and listen to podcasts and online radio. 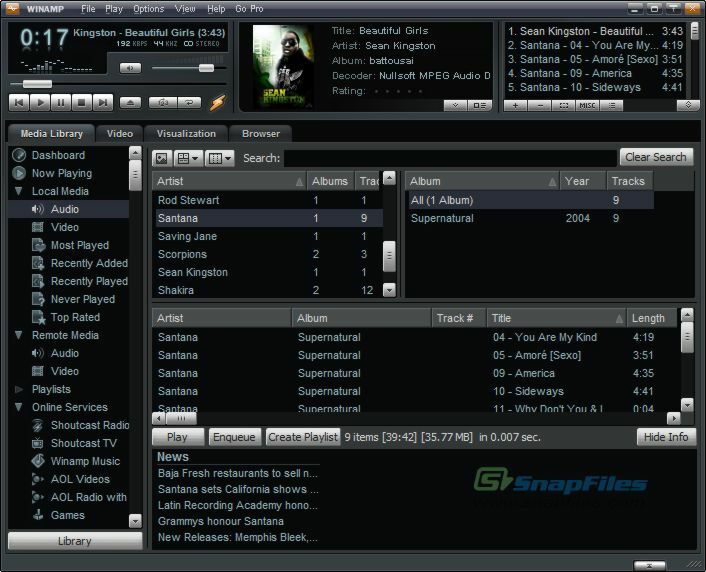 Winamp is great free software for most music listeners and it allows the user to easily customize settings to improve audio playback. For anyone who wants to easily organize and listen to all their music I suggest Winamp. If you think you want to be able to customize just about every setting there is than you may want to try foobar2000. Foobar2000 is lightweight and very customizable. When you start using Foobar2000 it won’t do much until you get plugins and customize settings, but it has lots of features once you download plugins and customize the application. It is quite a bit more difficult to use than Winamp, and I would only recommend it to someone who is advanced and wants specific control. There are many ways to listen to music or watch videos I have only listed a few, but if you use my recommend software you will see that it makes watching videos better as well as listening and organizing music. With so many different sources to get media from it is important to be able to play the many different formats that media has. You may not think you would use this software but if you install them you will see how nice they are to use. Above are my suggestion on what software to use and why I believe they are the best, I will write future articles to help you customize and use this software.